Foursquare used to be this social check-in app that friends and fellow Foursquarians took to to not only share their locations, but also because the whole experience was one big game where the world competed against one another. You wanted badges for checking in at certain types of restaurants and you wanted to be the mayor of your most-visited spots. 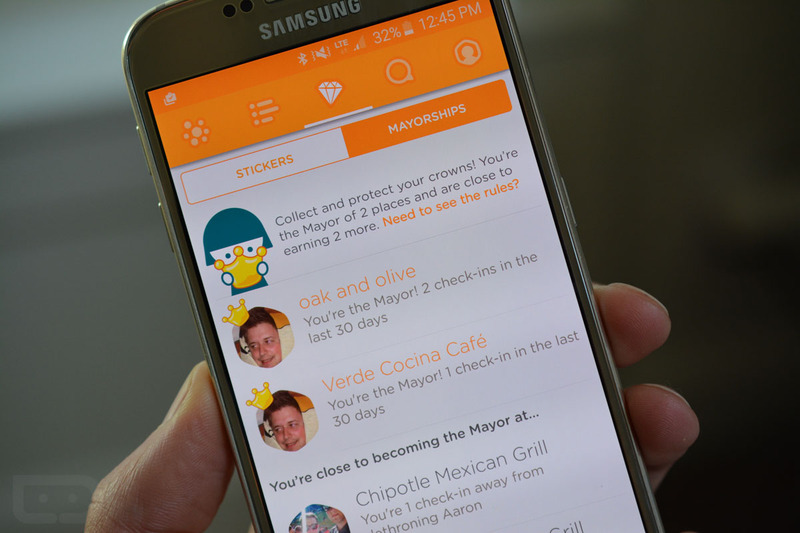 Then one day, Foursquare punched itself in the face one-too-many times and decided it wanted to be Yelp, so it created this silly companion app called Swarm that was supposed to replace the check-in portion of Foursquare. Unfortunately for Foursquare, the check-in portion of the app was all that really mattered to anyone. They liked the game and badges and mayorships. They didn’t need Foursquare to be Yelp. Unfortunately for users of Foursquare who now had to use Swarm for the check-in stuff, there was a quick realization that Swarm as a check-in app was pretty crappy. Why? Because Foursquare removed all the stuff that made checking in fun – the game, badges, and mayorships. Here we are just over a year since Swarm was created and Foursquare is finally bringing back all of the things that matter. Badges (or “Stickers”) were brought back a couple of weeks ago. Today, Foursquare is giving us mayorships again, mayorships that you compete for on a global basis, not just with your friends. The rules are simple: you’ll be the Mayor of a place if you’ve checked in more than anyone else in the last 30 days. Only 1 check-in per day counts and ties go to the reigning mayor. We’ve been tallying all of your check-ins from the past month, so go see if you’ve already proven yourself worthy of the Mayor crown at your local spots.